South Fork Studio Landscape Architecture is dedicated to creating inviting, innovative and environmentally sustainable human spaces and native landscapes throughout the Mid-Atlantic region. Our mission is to create and nurture a direct connection between the landscape and the people that inhabit it. Whether designing a small intimate garden room, or a commercial development; our philosophy is to focus on how the needs of the people are best served by the landscape, and how the landscape can be maintained as a self sustaining and functioning ecosystem. Through constant innovation, we incorporate aspects of sustainable stormwater management into all projects regardless of size by using techniques such as bioretention and infiltration. We understand and balance the complex relationships that exist between the engineering involved to create human spaces and the environmental sensitivity that is expected in all great landscapes. Our principal designers create landscapes that are bold yet simple, with connections to architectural styles, and influences from historical and cultural precedents. We strive to provide a memorable landscape experience that requires minimal seasonal maintenance. Work in partnership to educate clients and colleagues, create usable spaces and minimize the impacts of human activities upon the ecosystem. Create inspirational environments where humans live in balance with the natural world. South Fork Studio constantly strives to blend timeless aesthetic qualities with low-impact, sustainable ecosystems. Every project is treated as a unique opportunity to provide our clients with environmentally beneficial and functional living spaces. We make our philosophy of minimal impact real by investing in our relationships with our clients. We keep the big picture in focus and continually work to create a community that functions with its environment as an integral part of the whole. Though every project is unique, our philosophy remains the same: at South Fork Studio we are fully dedicated to creating inviting, innovative, and environmentally sustainable human spaces. We prefer a close working relationship with our clients. The more engaged a client or owner can be with the design process, the better. We can only care about your project as much as you do. Think about the environment as your property or project and the community as the people that occupy that space. What are things that can be done to make the project as balanced as possible from an ecological and environmental standpoint? This way of thinking doesn’t have to cost anything extra, it just means being more thoughtful and creative. We look at creative storm water management techniques, minimizing impervious surfaces (required in Chesapeake Bay Critical Area properties) and the use of native plants as ways to mitigate the inherently negative effects that building tends to have on the environment. We always consider the use of products like porous paving and recycled materials wherever possible. Good designs don’t become reality without detailed and accurate drawings for the contractor to follow. We take pride in our drawings and carefully design every detail to ensure proper construction that will last. We prefer to stay involved through the construction phase to ensure our designs are implemented properly. We have developed solid, trustworthy relationships with many local contractors whenever possible. When selecting plants for a design our first thoughts are towards natives. There are certainly conditions where a non-native plant is the right choice (like in recreating a historic rose garden), but natives can and should be used for most of the design. We do not use plants that are considered to be invasive by the Maryland Native Plant Society. Miles founded South Fork Studio Landscape Architecture in 2003. He brings to his work an obvious appreciation for architectural backdrop, landscape relevance and design detail, which he then translates and re-describes through his sensitive lense. A graduate of The University of Maryland, Miles is a registered landscape architect in Maryland and Virginia. His focus is to seek out projects aimed at incorporating the principles of sustainability (water conservation and reuse), ecological restoration (reduction of impervious surfaces) and the use of native plant material. His 18 years of experience have given him the opportunity to work on a variety of projects ranging from high end residential design and historic restoration to urban streetscape design and commercial development. This experience has allowed him to develop a clear design intention and an appreciation for strong client relationships. During his 6 years (1997-2003) working with the Internationally recognized firm of James Urban Landscape Architecture in Annapolis, Maryland he managed projects that included The National Japanese American Memorial in the Nation’s Capital, Dumbarton Oaks Library and Gardeners’ Court Addition and The Federal Courthouse Grounds and Public Plaza in Jacksonville, Florida. Since founding South Fork Studio, Miles has worked with The Center for Watershed Protection as a contributing participant in the creation of a new manual titled: Designing the Urban Landscape to Integrate Trees and Storm water. He has also served as an adjunct professor at the University of Maryland where he taught storm water management to third year students in the landscape architecture department. 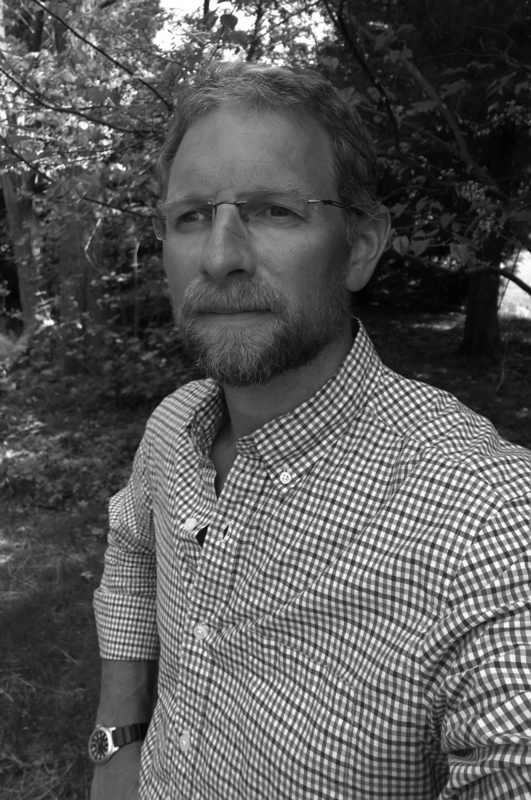 Miles stays involved with the landscape architecture and design communities by being an active member of the American Society of Landscape Architects and rounds out his knowledge base with his memberships in the Maryland Native Plant Society and The International Society of Arboriculture.